Lol! There you go! So much fun! I believe, to see longspurs, around here anyway, you have to be driving about 45 kph on a narrow gravel road! 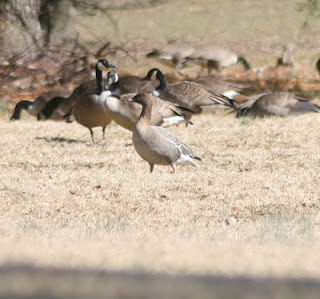 Do you still plan to do a full write-up on the Pink-footed Goose? I'd love to read it.